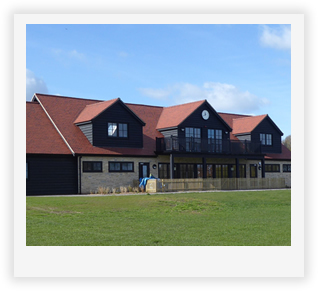 Thame and District Day Centre meet at Thame Town Cricket Club on Tuesdays, Wednesdays and Fridays from 9:30am to 2:30pm, and we are open for 50 weeks of the year. Office hours 8:30am to 3:15pm. We provide a day out with plenty of refreshments, a two-course meal and a variety of entertainment, for people from Thame and some nearby villages, who are elderly, frail, or perhaps isolated. We first opened nearly 30 years ago and currently have about 60 members and a small waiting list. You can find details on the webpage headed ‘Joining Us’ if you think you or someone you know might benefit from attending. 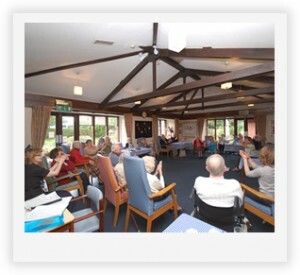 Provide a caring, sociable and flexible environment to meet individuals’ needs. Liaise with and support the carers of members. Promote choice, dignity and independence, respecting the rights of our members and their carers. Work with care managers from the Health Care Directorate, Health Service professionals and voluntary and statutory bodies to provide support for our members. We have a manager and a deputy who report to a board of trustees. They are supported by a team of volunteers who all help with many different jobs including serving meals and drinks, helping with entertainments and driving members to and from their homes. 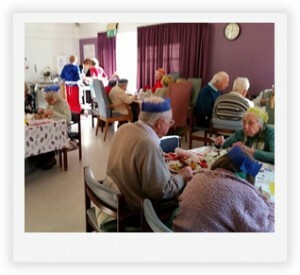 Most importantly our Day Centre is rich with human contact. Staff and volunteers have the time to listen and talk to our members and encourage them to socialise together, creating an environment full of fun and life. We currently charge an attendance fee of £12.50 for the day, which includes transport to and from your home, provided by our volunteer drivers, and covers drinks, lunch and the entertainments we provide for you. A small additional charge may be made for transport if you come from outside our usual catchment area. Our Day Centre first opened in 1986 in the recently built extension behind the Community Hospital in East Street. We are a registered charity (number 1039978) and rely heavily on a grant from Oxfordshire Social Services to deliver our core services and for the management and day to day running of the Day Centre. A growing percentage of our funding to support activities, entertainment, outings and treats for our members comes from donations, grant applications, in-house fundraising and membership attendance fees. The Manager and Deputy Manager, a board of volunteer trustees and a team of volunteers all work together to provide the best experience possible for our members.